The original ATA was established 100 years ago, towards the end of the First World War in 1918. With thousands of young Albertans serving abroad and no professional teaching standards or teachers’ association in place back home, the state of education in the province was disconnected. 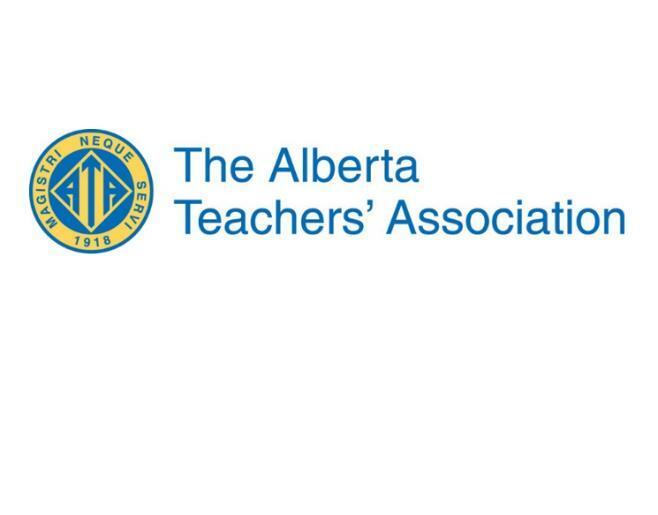 Alberta’s teachers took action, unifying professionally into the ATA, or Alberta Teacher’s Alliance, which in 1936 became the Alberta Teachers’ Association. While the ATA has evolved considerably over the past century, the Association stays true to its bold and progressive vision to respond to and represent members across the entire, enormous province of Alberta. From offices in Edmonton and Calgary, an innovative team of 170 professionals supports over 47,000 teachers and substitute teachers working in 55 ATA Locals province-wide. While the ATA does hold in-person meetings, the efficiency of modern technology allows its employees to communicate and collaborate with ATA members on a more regular and frequent basis. Most day-to-day member services are delivered by phone and through email. The ATA relies on both to tackle diverse tasks such as fielding inquiries, resolving issues, and managing teacher qualification and development programs. With communications at its core, the ATA’s technology team continually invests in modern solutions to provide its members and employees with the best possible experience. A conversation about the opportunity to improve ATA’s telephony led to a meeting with telecom provider and Microsoft partner ThinkTel . ThinkTel provides Internet-based voice, video, and data service to businesses across Canada. The ATA recognized how the ThinkTel solution eliminated the single points of failure in the old system while providing its technical team with greater visibility and improved control over their technical environment. Once the technical team piloted the new platform and saw how well it functioned, they confidently rolled it out to the entire organization. With ThinkTel’s assistance, the ATA replaced its outdated PRI system with ThinkTel’s SIP trunking solution, which allowed for the introduction of modern collaboration tools, specifically Skype for Business. By embracing a “pure SIP solution,” the technical team eliminated the headaches of managing technically complex media gateway hardware, which the old system relied on to translate voice over IP. The ATA’s employees adjusted nicely to using Skype for Business. Some use it just for calls, while others embrace advanced features like video conferencing and instant messaging chat. The ATA tech team provides each employee with Skype for Business orientation and encourages them to explore the features as they see fit. While reducing costs was not a primary motivator for modernizing, the ATA realized significant savings with ThinkTel, primarily in long distance charges. In a province covering an area of 660,000 square kilometres, these savings add up quickly! The ATA estimates that their long-distance charges are down to approximately 25 percent of the former amount. For an organization with a growing membership, like the ATA, a scalable solution eliminates potential barriers to growth instantly. Instead of future investing in IT infrastructure, like another PRI or new media gateways to replace those that fail, they can simply get the service they need, when they need it. With ThinkTel, the ATA also enjoys peace of mind, thanks to more disaster recovery and redundancy measures. If something should happen at either office and/or their private line should ever go down, calls will travel over the Internet instead—giving the tech team the time they need to identify and remediate the problem. Collaboration → Skype for Business features—like video conferencing, persistent chat, and desktop sharing—spark more collaboration and better all-around communication. Cost savings → By removing service fees and connectivity costs, ThinkTel’s solution dramatically reduced the ATA’s long-distance charges—from $3,600 to $2,000 monthly! Reliability → SIP Trunking eliminates potential points of failure by establishing a direct SIP connection with the mediation server without relying on an additional gateway. Manageability → ThinkTel’s flexible and dynamic software allows the ATA to manage its own users and make changes to its network, saving time and money. Ease of deployment → With low-to-no business disruption, ThinkTel made next-generation communication tools a reality at the ATA. Scalability → As an Office 365 subscriber, the ATA can easily add new cloud services through-add-ons to increase uptime, call quality and uptime performance. Security → 24/7 monitoring, as well as the latest encryption and security protocols, help ensure that the ATA’s data stays safe and secure. SIP Trunking works. In the right hands, it can slash costs, improve the customer experience, and enable growth—all while making IT management easier. Take the long view. Removing an organization’s dependency on outdated systems and hardware can remove significant cost barriers to growth. Safety first. By introducing disaster recovery and redundancy measures into their telephony, the ATA can now better ensure business continuity. SureCall → Ensure 100% business continuity with the ultimate failover system. Managed manually or automatically, SureCall comes free with our services.